If you are in love with the sport of volleyball, nothing can improve your skills and give you the chance to practice in a perfect atmosphere quite like Volleyball Camps in Maryland can! Whether you are just starting out in the sport or are a veteran player hoping to play for the Maryland Terrapins, volleyball camps can help you achieve your goals. Practice fundamental skills and learn new techniques to help you excel at the sport you love. Sports Camp Connection is here to connect you to the right Summer Volleyball Camps in Maryland that will meet all your needs. Find all the information you need about the University of Maryland Volleyball Camps here for free, start your search now! The U.S. 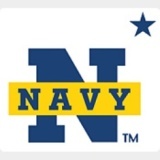 Naval Academy Women's Volleyball Camp located in Annapolis MD offers youth athletes an amazing opportunity to learn from top conference coaches and staff. Come experience Midshipmen Volleyball and take your game to the next level. Request more information today! The University of Maryland Women's Volleyball Camp located in Adelphi MD offers youth athletes an amazing opportunity to learn from top conference coaches and staff. 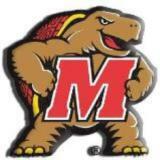 Come experience Terrapins Volleyball and take your game to the next level. Request more information today! The Institute of Notre Dame Summer Volleyball Camp programs are a great way to spend the summer. Come see why the Institute of Notre Dame in Baltimore, MD is one of the top volleyball camps in the country.